Emilia Clarke has offered a small look into the eighth and last period of "Round of Thrones." In light of the on-screen character's remarks to Entertainment Weekly, her character Daenerys "Twist the-Knee" Targaryen extremely needs the Starks — the group of her darling Jon Snow (Kit Harington) — to like her when she lands at Winterfell next season. That is notwithstanding anticipating Jon's last living relatives — who incorporate Sansa (Sophie Turner), Arya (Maisie Williams) and Bran (Isaac Hempstead Wright) — to acknowledge her as their new ruler aimlessly. Also, you know, interbreeding. "I like to believe that it resembles 'Meet the Parents,'" Clarke disclosed to ET Monday. "It resembles: 'I trust they like me. This present buddy's evil. It's a genuine beneficial thing we got moving on. He's the last piece. We're bound for significance and global control is a breath away.' Moreover, so I should resemble: 'Would I be able to interlace your hair, Sansa? Little Arya, come here, how about we play some cricket.' So there's that. Also, after that, exceptionally, in all respects rapidly, it resembles: 'Pause, is it just me, or do they abhor me?'" Dany's landing in Winterfell will commence the main scene of the following season, as indicated by ET, and a frigid gathering from the Starks appears to be likely. Sansa and Jon both battled resolutely to recover their familial home of Winterfell and their district, which brought about Jon being named the King of the North and Sansa the Lady of Winterfell. 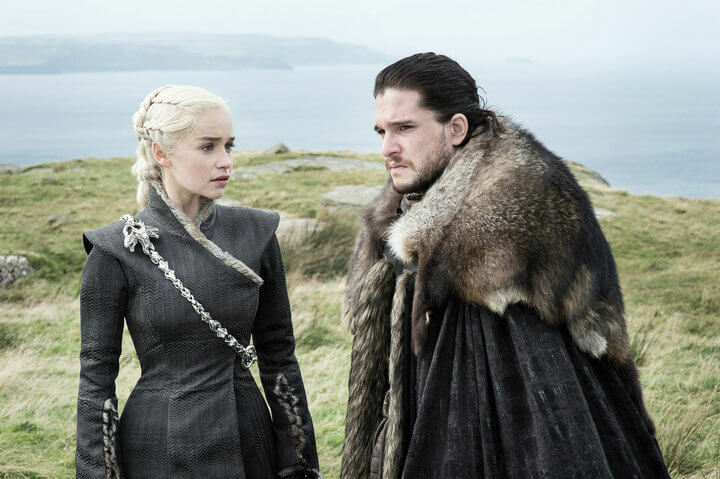 The Starks and the Northerners will probably be careful about Jon's choice to twist the knee to an outside ruler who hails from a family with fierce notoriety. Jon, be that as it may, sees his union with Dany (who has a large armed force and, well, mythical beasts) as an essential one if the living has any desire for enduring when the Army of the Dead slips on Winterfell. Additionally, the kind of burrows her. It additionally appears to be likely that Jon will find out about his actual ancestry when he gets back home to Winterfell. In Season 7, it was uncovered through Gilly's revelation Samwell Tarly's (John Bradley) research and Bran's forces as the Three-Eyed Raven that Jon isn't the jerk child of Ned Stark, however the real child of Ned's sister Lyanna Stark and Rhaegar Targaryen. Rhaegar is Dany's sibling, which makes her Jon's auntie. Also, albeit perverted connections aren't unfathomable in "Round of Thrones," the disclosure makes Jon "beneficiary to the Iron Throne" and not Dany — which could result in some grating in their growing relationship, considering Dany may have a genuine personality emergency. This is all hypothesis — because honestly, we genuinely know nothing until Season 8 debuts this Sunday.